The beauty of indie games is that you’ll never have to wait too long before you find something interesting to play, because developers from all over churn out titles from the secrecy of their computers. However, due to the influx of indie games, it’s difficult to keep up with all of them. Even if you have heard of these indie titles, others may have missed them, so I’m here today to give you some of my suggestions. You can expect some familiar entries if you’ve kept up with our reviews, but you’ll also find some indie games that we haven’t covered. Keep in mind that we’ve totally missed plenty of games from 2014, so feel free to leave us your suggestions as well. Think of it as a trade: my suggestions for yours. That way, we all have some new and interesting indie games to play. Mobile games seem to have a tarnished reputation, and it’s not completely unjustified. Games like Final Fantasy: All the Bravest are designed specifically to drain your wallet, and ports of console games like Jet Set Radio are seemingly unplayable due to poor touchscreen controls. 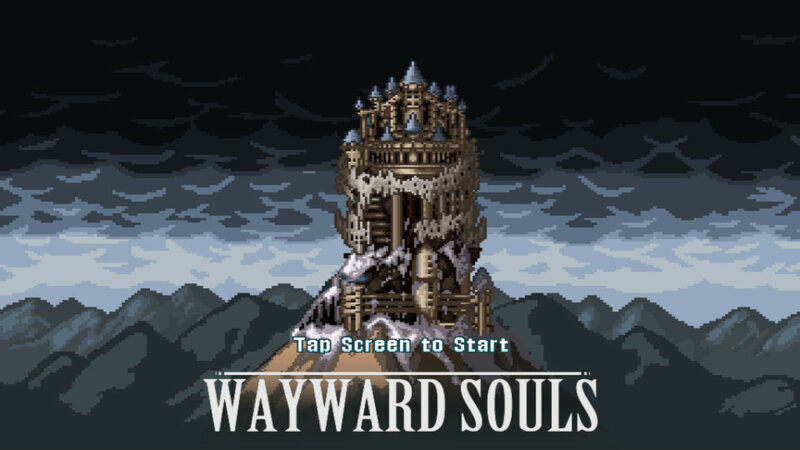 However, I continue to defend mobile games as a delivery platform because for every dozen Flappy Bird or Angry Birds clones out there, I can always find a game that deserves to be evaluated on the same standards as most PC indie games; such is the case with Wayward Souls. Wayward Souls is not a unique game, but it is exactly what it sets out to be: a competent rogue-like title. Every character in the game, each with their own class such as rogue and permanently upgrading their skills was as addicting as ever. Characters often had connections with boss fights, and the dungeons vary in design; even though the difficulty ensures that you’ll most likely be repeating certain sections for a long time. But most importantly, Wayward Souls’ controls are very well made. Every time I died, I would curse the game, but I rarely directed my emotional criticism specifically at the controls. Whether I needed to roll out of the way or use a special attack, I felt completely in control, and that is why I think Wayward Souls is an exceptional mobile indie game. Having written about Kickstarter indie games for almost a year, I’ve noticed that rogue-likes are very popular on the crowdfunding site; I suspect it’s because they’re easier to develop at a smaller scale. The problem is that they are over-saturated, and it’s hard to create one that stands out, even if they end up being competently designed games. Crypt of the Necrodancer, with its bouncy EDM soundtrack and rave-like dungeons, will not have that problem standing out on Steam Early Access. 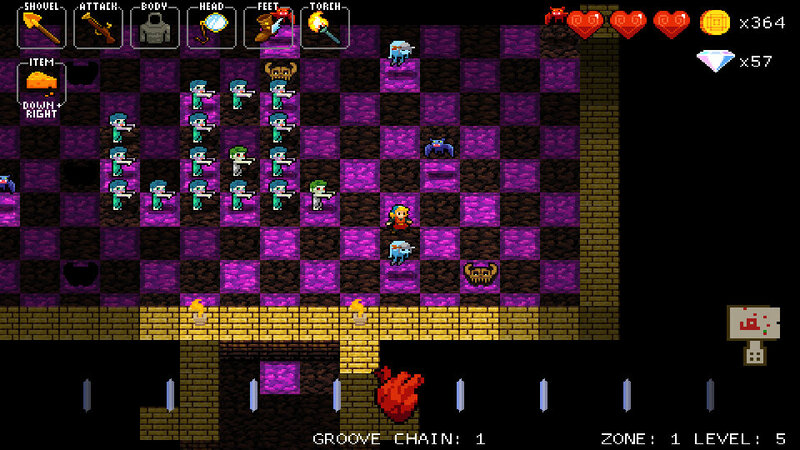 At first, Crypt of the Necrodancer looks like a typical 2-D dungeon crawler, but that quickly changes upon learning the game’s controls. As with the early Ys games, you only need the directional buttons to move and attack; the trick is you need to move to the beat of the music. Regardless of my musical prowess, I initially felt like I was learning how to ride a bicycle for the first, but as time went on I found myself moving to the beat with the music without actually having to look at the cadence bar at the bottom of the screen. The rhythm in which I moved and attacked made this game an experience I want to master–I still have a ways to go, as each enemy has its own attack pattern, and I had to learn new strategies while going with the beat. Of course, the game has other charming elements that help make it more memorable. Shop owners will suddenly sing along–the sound effects are very similar to SNES era Final Fantasy–to the music, tiles will light up like a dance floor, and the music, which is composed by Danny Baranowsky of Super Meat Boy fame, is glorious. In addition, players can mod the game so that they can play as whoever they want, as well as play to whatever music they’d like. It may still be on Early Access, but it’s already shaping up to be a fantastic addition to your Steam library. 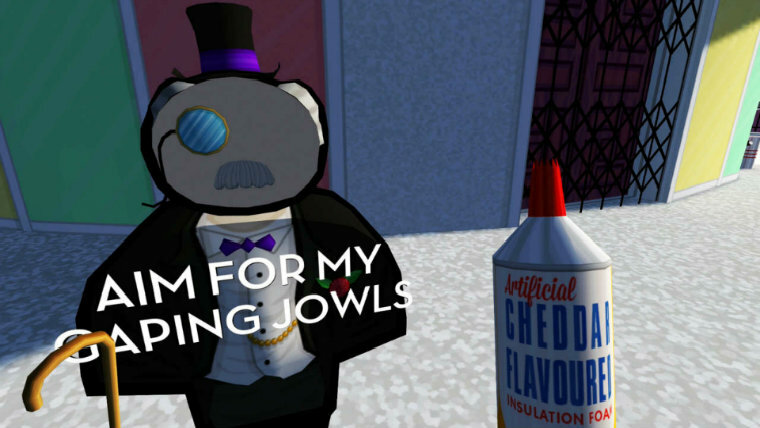 When I reviewed Jazzpunk, I began questioning how I should evaluate the value factor of video games from now on. After all, video games are $60, so I understand if someone is upset for receiving only eight hours of content for such an expensive product; however, would it be any worse than playing a 40 hour game with only 10 hours of content that didn’t feel like filler? Jazzpunk might raise some eyebrows for its three-hour completion time, but I can safely say that I never felt like I wasted a single second while playing it. Jazzpunk is on par with indie games similar to The Stanley Parable and Gone Home. I understand if some find walking simulators to be incredibly dull; however, Jazzpunk has two things going for it: its humor is sharply written, and it’s full of hidden jokes. All of the characters are fascinatingly bizarre, and it’s worth talking to them more than once in order to unlock minigames or more hilarious dialogue. Even if you find Jazzpunk’s sense of humor to be too nonsensical, you might enjoy the minigames, which are excellent parodies popular video games–for instance, there’s a wedding-themed mod of Quake. A very specific type of audience–one made up of fans with an offbeat sense of humor and loves to mess around in video games just to see what they can find–will appreciate Jazzpunk the most. If you’re unsure if you might fit into that category, ask yourself this: do [you] like Adult Swim? Because there’s a reason that it decided to pick up this hilarious spy thriller parody. Cave Story is one of the most well known, highly regarded indie games of all time–an impressive feat for a game developed by one guy. 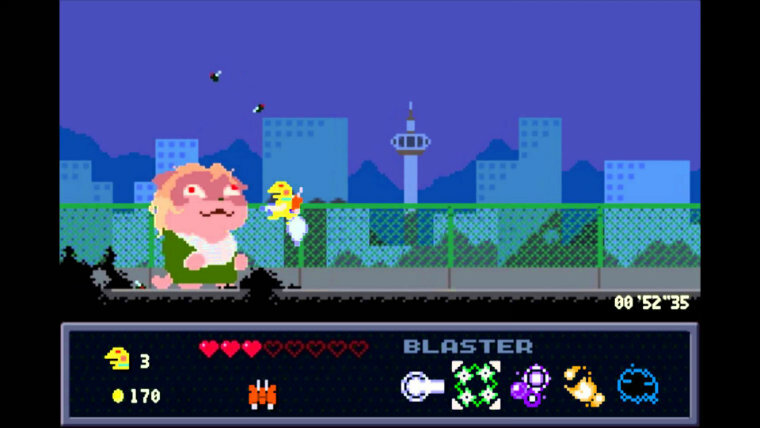 With Kero Blaster, a game that ostensibly looks just like Cave Story, Daisuke “Pixel” Amaya had a lot to live up to in fans minds. Despite looking almost exactly the same, Kero Blaster is a totally different game. Instead of Metroidvania exploration, players tackle levels one at a time; the result felt like the most polished NES game on the iPhone or PC. This is because the level design is sharply planned and the switch mechanic allowed me to shoot in any direction I wanted for as long as until I no longer needed it. It doesn’t require twitchy reflexes like in most platformers; instead, it requires adapting to your environment by choosing the right weapon. I almost gave this game a lower score because I initially thought the game lacked replayability; however, I changed my mind once I discovered a choice that allowed me to discover new content, which I admittedly would have missed without help. In addition, the artwork is charming and the soundtrack is infectious; maybe Kero Blaster is more like Cave Story than I had thought. Once of the criticisms regarding Lisa isn’t necessarily about its mechanical faults, but rather the tool that the developer used to make it: RPG Maker. While RPG Maker might not be the most impressive engine to work with, creator Austin Jorgensen customized Lisa in such a way that captivated many backers on Kickstarter–so much so that it managed to earn more than double its original funding goal. Lisa’s strongest suit is it’s exploration, which at once presents you a bizarrely fascinating world that you do not want to underestimate. Levels are designed similarly to the ones found in Super Mario Bros. 2, and properly navigating them helps you avoid fights that could cost you resources. Ambushes are also plenty; for instance, one man looked as friendly as the uncle from The Legend of Zelda: A Link to the Past, but the moment I started walking away he tried to stab me in the back. In other instances, I came across strange sites such as a anthropomorphic goose who rhymed, a man with a fishbowl on his head dancing to EDM, and men who were willing to use their heads as platforms for Brad to jump on. Part of what makes Lisa so special is its presentation; it’s somehow able to simultaneously be the funniest and most depressing game, and it’s somehow able to blend the tones together. That’s because it’s dark throughout, be it the humor or Brad’s past, making the world of Lisa not only refreshing to explore but also one of my favorite indie games of 2014. 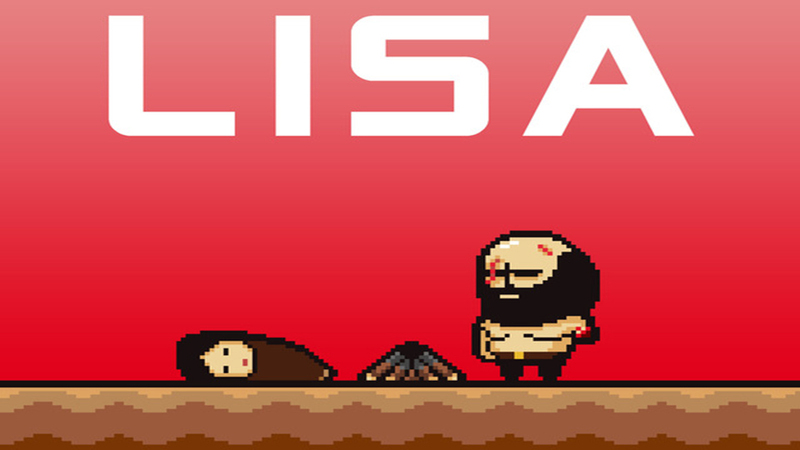 Check my more in-depth review of Lisa for more info. I will never understand war and how the people involved feel about it, and most video games, from what I can tell, fail to paint an accurate picture. The war games we play, such as Call of Duty: Advanced Warfare, are certainly intense, fun experiences, but they rarely tell the stories of those involved in the conflict who are not soldiers. 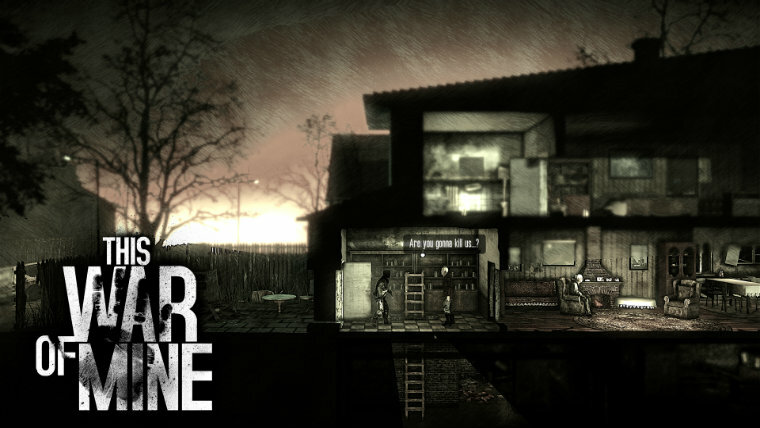 This War of Mine is the exception, and if there’s anything I’ve gleamed while witnessing the lives of these war-torn citizens is that their side of the story is not fun. Actually, I wouldn’t describe the This War of Mine as fun because it puts you in a bleak situation where even the smallest glimmer of hope can be crushed in an instant. In this resource manager, you begin with a group of citizens who managed to find worn-torn shelter that needs work. Your comrades bring their skills to the table, but they often begin the game slightly sick or wounded. No one will receive a full night’s worth of sleep, because someone needs to stand guard, and another needs to scavenge for food and supplies–this obviously comes with risks. At times, you’ll want to make your character’s lives worth living by rolling the occasional cigarette or distill moonshine. This happiness is fleeting, as what’s likely going to happen is that intruders will attack your shelter, and you’ll be massacred because you didn’t invest in enough gear for self-defense. There will be times when you’ll need to barter with other bystanders, but things can go wrong very quickly, and you may need to force other people to give you their supplies during truly desperate times. This is not a glorified war game, and it’s one of the most intense indie games from 2014. So what do you think of this list? Will you be trying these titles out? Share your comments and suggestions down below!